6:00 PM - 9:30 PM "Music in the Park" at Skyview Lake. A free concert of fun and great music in a casual setting. The Class of 1979 will gather informally at "Shelter #2" at Skyview Lake. Our own Jon McIntosh plays bass guitar with his band, "The Heartland Boogie Band". Feel free to bring chairs, blankets, coolers and beverages. Adult beverages are welcome too - BYOB. If interested in Golf at the Norfolk Country Club at 11:00 AM contact Chuck Sintek at 402.841.6257...or Miniature Golf(18 hole)at Divots Conference Center. Mini Golf open to the public. Get your putter and ball at the front desk. $5 for Adults, $3 for children. There are many fine hotels in Norfolk. The Class of 1979 has reserved a block of hotel rooms at the Norfolk Lodge and Suites, which is the hotel adjacent to the Divots venue. I’ve booked a block of rooms at the Norfolk Lodge & Suites, an Ascend Hotel Collection Member, Norfolk, NE. Please note rooms need to be booked by the cutoff date of Monday, Jun 3, 2019 or they’ll be released to the general public. Reserve your room online or call the hotel directly. *See below for terms. 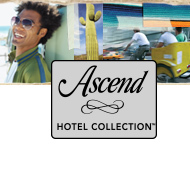 Sometimes the best travel experiences can’t be found in a guidebook Each Ascend® hotel is a unique reflection of its local community, with staff committed to sharing their insider knowledge of the places, moments and experiences that makes each destination special.